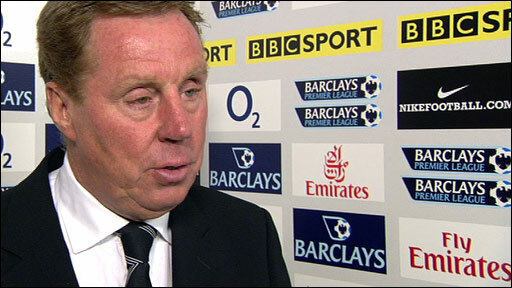 Aaron Lennon's injury-time equaliser capped a stunning fightback from Harry Redknapp's Tottenham against Arsenal. David Bentley's brilliant early strike put Spurs ahead, but Mikael Silvestre headed Arsenal level before half-time. William Gallas put Arsenal in front seconds after the re-start and Emmanuel Adebayor bundled home their third. Darren Bent pulled one back before Robin van Persie added Arsenal's fourth - but Jermaine Jenas's 89th-minute goal and Lennon's tap-in earned a point. Bentley's audacious opener gave Redknapp the perfect start to his first official game in charge, but that early optimism soon disappeared as Arsenal took total control of the north London derby. But once again Arsenal were guilty of their familiar crime of over-elaboration and missing chances, leaving the door open for Spurs to rescue a point from a game that looked lost. Redknapp restored Jonathan Woodgate to his starting line-up, but lost captain Ledley King because of his long-standing knee injury. Spurs opened up Arsenal inside two minutes when Tom Huddlestone slid in Gareth Bale, who shot into the side-netting. But they were ahead after 13 minutes - and it was a piece of genius by former Arsenal midfield man Bentley that gave them the goal. He took a Huddlestone header and teed himself up for a stunning volley from 40 yards that Arsenal keeper Manuel Almunia touched but could not keep out. Arsenal took up the challenge and Van Persie was twice a threat in the immediate aftermath of Bentley's goal, forcing Heurelho Gomes into a save low down and then shooting just wide. Gallas then shot over after a Gomes fumble before both Theo Walcott and Cesc Fabregas tested the Spurs keeper. An Arsenal equaliser looked on the cards, but Spurs will have been deeply unhappy about the manner in which it arrived eight minutes before the interval. Spurs felt Bentley had been fouled by Fabregas in the lead up to an Arsenal corner, and their misery increased when Gomes made an awful attempt to deal with Van Persie's corner and Silvestre headed home. For all Arsenal's trademark pretty passing, they were making inroads at set pieces and scored from another less than a minute after the re-start. Van Persie whipped in a free-kick from the right and Gallas rose to glance in a header that Gomes could only touch on its way in. Bentley tested Almunia from long range again before Adebayor extended Arsenal's lead after 64 minutes. Van Persie was the creator with a superb pass that let in Samir Nasri, and when he lifted the ball over Gomes, Adebayor beat Alan Hutton in a straight race to poke home from almost on the goal-line. It was looking very ominous for a deflated Spurs side, but they were thrown a lifeline three minutes later when Almunia fumbled Huddlestone's shot and substitute Bent turned in the rebound. But any hopes Spurs harboured of a revival appeared to be snuffed out within two minutes, when Hutton gifted possession to Adebayor, who set up Van Persie for a powerhouse finish. When Jenas curled in a clever finish with a minute of normal time remaining, it looked like it would provide nothing more than an anxious finale for the Gunners. But with seconds left of the four minutes of injury time, Luka Modric's shot was deflected on to an upright and substitute Lennon was in the perfect position to slot in the rebound and spark wild scenes of celebration from the Spurs contingent. Arsenal: Almunia, Sagna, Silvestre, Gallas, Clichy, Walcott (Eboue 75), Fabregas, Denilson, Nasri (Song Billong 88), Van Persie (Diaby 81), Adebayor. Subs Not Used: Fabianski, Toure, Vela, Bendtner. Goals: Silvestre 37, Gallas 46, Adebayor 64, Van Persie 68. Tottenham: Gomes, Hutton (Gunter 79), Corluka, Woodgate, Assou-Ekotto, Bentley, Modric, Jenas, Huddlestone, Bale (Lennon 55), Pavlyuchenko (Bent 65). Subs Not Used: Cesar, Zokora, Campbell, O'Hara. Booked: Assou-Ekotto, Bentley, Huddlestone, Jenas. Goals: Bentley 13, Bent 67, Jenas 89, Lennon 90. 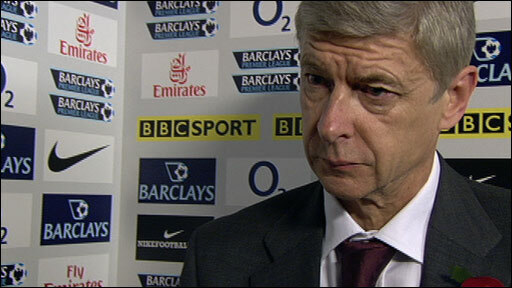 BBC Sport Player Rater man of the match: Robin van Persie 7.47 (on 90 minutes).